Guava chiffon cake ... judging by it's place on this website is still one of the most sought-after and cherished dessert recipes. 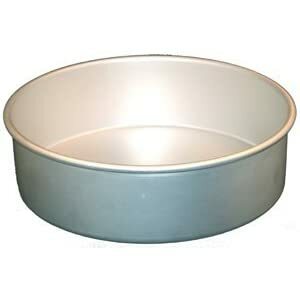 In order to get your chiffon cake light and airy, it is important to use aluminum baking pans lined with parchment paper. Do not oil the pan and do not use teflon coated pans. By using aluminum baking pans, the cake is able to cling to the sides of the pan while it is rising which gives the cake more volume and a lighter, airy texture which chiffon cakes are known for. Also ensure that you beat your egg whites but not over beat them. The last tip is to gently fold in the egg whites and don't over mix...this will keep your chiffon light and fluffy. Sift 2 cups flour, salt, and baking powder together. Blend together oil, whole eggs, guava juice, vanilla, and coloring in a large bowl. Add dry ingredients, mixing at medium speed for 5 minutes. Whip egg whites until triple in volume. Slowly add 1 1/4 cups sugar and cream of tartar. Whip egg white mixture until soft peaks form. Fold guava mixture into egg white mixture and mix until smooth. Pour batter into two 9-inch rounds (ungreased) and bake at 350° for 30 minutes or until done. Remove from oven, immediately turn cake over onto a rack. Cool with pan in place. Place in freezer until firm, then fill and ice with Guava Icing (work fast, as icing will melt). Fill center of top with well-chilled Guava Claze. Whip cream at high speed until soft peaks form. Fold in guava nectar concentrate and blend well. Dissolve cornstarch in water.. Bring guava nectar concentrate to a quick boil. Stir in cornstarch. Simmer until mixture thickens. Chill well before topping cake.